1944, B.F. Skinner and his wife, Yvonne, were expecting their second child. After raising one baby, Skinner felt that he could simplify the process for parents and improve the experience for children. Through some tinkering, he created the “air crib,” a climate controlled environment for an infant. One of these air cribs resides in the gallery at the Center for the History of Psychology in Akron, Ohio. Skinner had high hopes that the air crib would ease parental burdens and contribute positively to children’s development. Skinner was particularly concerned about rearing a baby in the harsh environment of Minnesota where he lived and worked. Keeping the child warm was a central priority. Traditionally, this meant wrapping the baby in clothes and blankets. This not only inhibited the child’s self-directed movement, but the baby could easily overheat as well. It also meant labor for parents, from more laundry to frequent bathing of the child. The air crib was intended to dispense with these concerns. In terms of design, the air crib was basically an oversized metal crib but with a ceiling, three solid walls and a safety-glass pane at the front which could be lowered to move the baby in and out of the crib. Canvas was stretched to create a floor. Sheeting was be rolled on top of the canvas and easily rolled off when soiled. Parents regulated the temperature and humidity of the crib via a control box on top of the crib and clean air was filtered into the crib from below. The crib was also higher than other cribs of the day, allowing easier access to the child without the burden of stooping over. Skinner’s second daughter, Deborah slept and played in this new crib during the first 2 years of her life. By all accounts she had a healthy, happy childhood and adulthood. The cribs were commercially produced and it is estimated that over 300 children were raised in them. Psychology Today ran a short piece on the air crib where the authors tracked down 50 children that used the air crib. The results for these children were positive and the parents enjoyed using the crib. Yvonne also believed it was superior to a standard crib (Epstein, 1995). So why did the air crib fail to catch on? Why has it become an archival display piece rather than a standard tool for childrearing? Public perception of the air crib was anything but positive. When Ladies Home Journal ran a piece on the new crib in 1945, the American public got its first glimpse into the curious new invention (Skinner, 1945). The title of the article, “Baby in a Box,” as well as Skinner’s use of the word “experiment” to describe the experience likely contributed to public skepticism about the device (Bjork, 1997). The image accompanying the article was similarly damaging; it showed Deborah enclosed within the crib, peering out with her face and hands pressed up against the glass. In addition, select parts of the article were reprinted in other major outlets. As a result, many readers did not get the entire story. Some began to make inferences about the nature of the crib based on the much more famous Skinner box. The air crib therefore became associated with rewards, pellets, levers, and the like. People were also wary of using science and technology as aids or perhaps replacements for the loving labor of the mother. Companies also rejected the idea because any problems with such a device could result in exceedingly negative publicity (Benjamin & Nielson-Gammon, 1999; Bjork, 1997). The controversy over the air crib eventually grew into an urban legend about Skinner’s daughter, Deborah. This legend grew out of the assumed psychological harm of raising a child in an air crib. It was rumored that Deborah’s early experiences in the crib caused her to go crazy, sue her father, and commit suicide. These legends are in fact false; Deborah grew up normally, has talked very positively about her childhood, and has no issues with the air crib (Skinner-Buzan, 2004). I want an air crib for my next baby!!!!!!!! You may not want an aircrib after all. I had 2 children reared in one; unless you take them out a lot (when they are not sleeping) when they reach the crawling stage, you will have a child with hand-eye coordination problems; this really inhibits success in school (hard for them to learn to read). I was so delighted with my children and was fortunate enough to be at home with them, so mine were out a lot and I was talking, cuddling, and playing with them when they were. (We had an intercom, so I alway knew when they ere crying or awake). Not all parents nowadays have the options I had and both parents and caregivers run a risk of not interacting as much since they know the child is safe & warm. My eldest is now 49 – no one was really aware that crawling had that effect when she was a baby, including Skinner, whom I met once – he was a shy, gray little man (see reprogramming for neurological injuries), but both of mine turned out just fine, thank goodness! It was a crib. A crib with climate control (in the days before central heating and air). You would take your kids out of it just as much as you would take a child out of any other crib. This sounded like a great idea. And it looks like an incubator. Thats what i had to use for my last baby because of jaundice and he has turned out fine. B.F. Skinner and his wife, by today’s standards, would be guilty of child abuse. By leaving their daughter in the skinner box for so long, til she was 2 1/2, taking her out only for baths and diaper changes, not sure about feedings-couldn’t find any info on that–they were neglecting the child. How about fresh air, playtime with siblings, nurturing, socialization to name of the few things they didn’t find time to be bothered with. They were more concerned about their “luxurious” free time. @Terry: Your comment is silly and misinformed. Skinner’s method for raising his second child Debbie kept her safe, warm, and happy. How is that child abuse? She was out of the crib every day interacting with her parents and playing with her sister. They didn’t just keep her locked away inside or take her out only for baths and diaper changes. So called “fresh air” was specifically what Skinner was trying to avoid. He wanted his baby kept warm consistently during the harsh Minnesota winter. He also didn’t want the school age friends of his older child who were running around his house to pass their germs to his baby. Did it create extra free time for the parents? Yes, that was also a part of it. But as a very busy father of two, I don’t understand your perspective that saving time for the parents is a bad idea. Most modern homes feature systems that condition and filter the air at the whole home level, thus Skinner’s crib could be viewed as a bit outdated. But to call it child abuse is just plain silly. As a technology geek it was a very interesting project to build the crib for my firstborn. Aside from temperature I can regulate humidity which is very practical. I also built an ionizing HEPA/Carbon airfilter into the ventilation system and an alarm mechanism that sounds off if the ventilation is accidentally turned off or defective. I pluged the whole system into a 400w UPS that will provide about 6 hours of uninterrupted energy in case of a black out. Since it is connected to my home automation setup it would also send a message to my phone if that were to happen. If I had the money I would buy special audio equipment and fine tune it to monitor the baby’s respiration as long as it is inside the crib. Since sudden infant death syndrome usually occurs at night, such monitoring could potentially prevent this. John, I know I’m going back 3 years replying to you but I’m curious: how much did it cost to build yours and how difficult was it? What you did makes a lot of sense to me. I’ve got a Bachelors in Psych, and I’m working on my Masters in Counseling. I am by no means a Skinnerian, but the concept of a controlled environment sounds great. Maybe you should start making larger size units for adults? I first took notice of the Air Crib in Parade magazine in 1968. Mr. Gray, the Air Crib custom builder, drove from Long Island, NY, to us in Boston, to deliver/put together its parts. By the way, we paid $400 for it then in 1968. We started using the Air Crib in 1969 when our daughter was born. With just a diaper on, she slept there quite comfortably and played there each day as well until she was about two years old. Our daughter obviously enjoyed her experience in the Crib because we NEVER heard a whimper from her (or, later, from her baby brother) when she realized that her destination was to be the Air Crib. Ours wss designed with two plexiglas windows and a saran sheet with tiny holes in it on which she lay. Wet diapers would dry because of the temperature/humidity controlled environment and the air circulation, while the urine drained from the sheet into a collection area underneath. Both the saran sheet and the collector were washed all the time. Whether their being in the Air Crib had anything to do with their gymnastic skills as they grew is a point we could discuss, but both our daughter and our son turned out to be well-adjusted, loving people who were anything but harmed by their experiences of being in a crib that bore no resemblance to a cage-appearing regular crib. We had decorated the walls and part of the windows with baby-appropriate decals, and the bar or two at each end of the padded sides aided in the babies’ development as they started to reach up for hanging toys and/or beginning standing. My husband and I were also surprised that the Air Crib never became popular. Wow..Planet of the Apes…we are de-volving. To think people applaud this and they all turned out “fine”. Look at the product of that generation. Only a very few are fine. I am not sure why you would leave your child in a crib other than to sleep. Reading this seems that Skinner was innovated using technology that is beyond that generation. It seems this would be a great crib to minimize SIDS because there isn’t a mattress and thick bedding for the baby to suffocate in. This is real ingenuity here. Too bad the psychological stigma did not allow this invention to propel further. I was born in ’68, & I was raised in one. The temperature control is one issue, but what it was most used for, in my understanding, is to train the baby. If the child cries they would be placed in the crib, not to be reinforced until all crying had ceased. This sucked. This had lingering effects on my upbringing. It sounds like other parents here didn’t have this agenda, but as far as I understand this is a Skinner concept and why the experiment began. I am very interested in talking to other people who grew up in one. All I know is my brother. Tia, I am sorry you had a negative experience in the Air Crib. I recommend you read Skinner’s writing on the air crib for an understanding of how it was meant to be used. 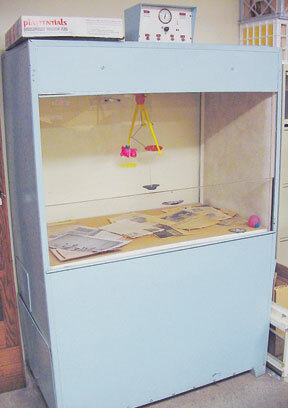 It was never intended as a training tool – that was the Skinner “box” used with animal behavior experiments. My oldest daughter was born in January 1964 and slept in Skinner’s Air Crib from birth until spring 1966. What a blessing it was to her and all of us! She was unencumbered and safe with automatic heat/cooling and a fail safe alarm system. What a pleasure to watch her move freely and naturally when sleeping. She was never kept in it when awake. Her younger sister was born in October of 1970 and was also raised in the Air Crib. At the time we lived in a house with no heat on the second floor and she was safe and comfortable in her controlled environment while the rest of us curled up under the weight of layered blankets in Pennsylvania winters. The crib was passed on to my sister in Massachusetts who successfully raised my niece in it. It was then passed on to someone in the Boston area. I think the folks who are “sour grapes about it” don’t get it. The freedom of movement stimulates growth in body and brain and when properly used gives developing infants a step up. The air crib also minimized illness in my children. I hope there are some in use today. I agree with you Joe. If used properly I can see the benefits of utilizing one of these. Seems like there are mixed opinions on this. I am taking both, Psychology and Early Childhood Education, both classes of which, talk about Skinner and behaviorism. Of course, ECE tends to go a little more in-depth on his influence in the study of ECD. From what I’ve seen of this, being required to do a 2-page paper on Skinner in my ECE class, it looks like it can certainly have its uses! Of course, I think it all comes down to motive. If your parents are the type that end up caring more about their free time, and/or don’t fully understand the proposed purpose for the crib, then yes, sadly, there are going to be some issues in the individual’s longterm behavior and development. However, if it is used properly by parents who care for their child and know what they’re doing, then there will likely be positive effects. It all depends on the parents in the end. I couldn’t agree with you more, it totally boils down to the parenting. LIfe is all about balance, and any good parent will know this. I can see how certain aspects of this type of crib could be beneficial. To the ones that experienced child abuse and/or neglect in one of these, I am sorry they were mistreated as children. I do not feel it is the box to blame, it is the parents themselves. I feel these children would have been abused regardless of the box, possibly even more so had the box not been a safe haven for them. Purely speculation on my behalf however, I mean to offend no one! I sat next to Julie Vargas, Skinner’s daughter, today at a scientific conference. Not only is she a charming and delightful person, she spoke with great respect for the loving father who raised her and her sister. They had an enriched childhood full of love and learning. She specifically spoke of the air crib, and the positive effects it had for her sister, and how she enjoyed climbing in it to play. It had neither negative intention, nor effect. People who fear science will always make up reasons to resist progress. Those who embrace natural laws of science gain a better relationship with their world. My siblings and I were raised in an air crib. While I have no issue with this, I am curious to talk with others, especially with regards to the recent public interest in experiments with children. Does anyone know if there is a group made of its participants? I live in nyc. My father was a behavioral psychologist and friends with Skinner. My parents used air cribs as a part of the testing phase and it was used as you would a crib. It was not abuse. My mother held us all the time. 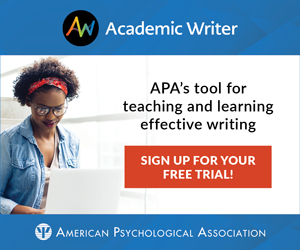 Nick Joyce is a graduate assistant at the Center for the History of Psychology in Akron, Ohio and a doctoral student in counseling psychology at the University of Akron. Cathy Faye received her MA from the History and Theory of Psychology program at York University in Toronto, Ontario, Canada. She is currently the Assistant Director of the Center for the History of Psychology at the University of Akron.